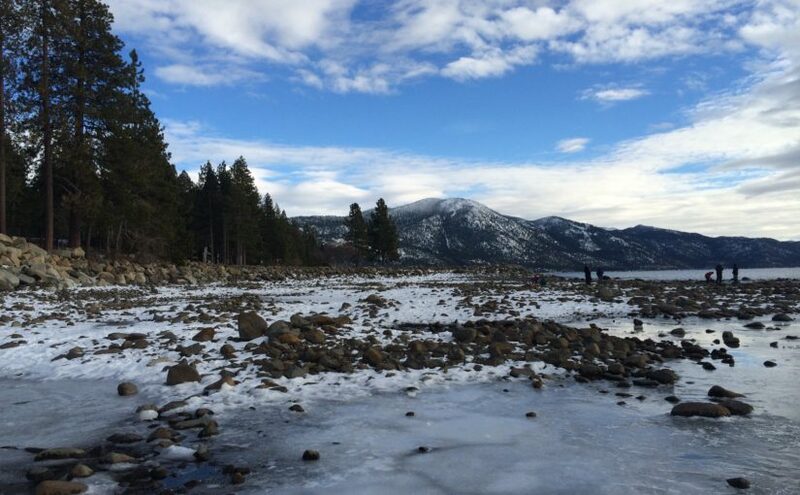 Now is the perfect time for planning a winter escape to Lake Tahoe. Whether you’re heading up to the mountains to hit the slopes, cash in at the casinos, or simply enjoy the fresh mountain air, driving there any time remotely close to peak commute hours is never fun. Instead, take the Capitol Corridor to Lake Tahoe for your winter escape. What many Tahoe enthusiasts don’t know is that it’s entirely possible to reach the mountains and the lake comfortably and hassle free on the Capitol Corridor. There’s room to stretch out, free wi-fi , and a Café Car with delicious snacks and beverages. The best part is there’s no need to endure hours of messy traffic in a cramped car, or worry about putting chains on your tires. Enjoy skiing at one of Lake Tahoe’s many world-class resorts. While most people think of the Capitol Corridor as a commuter train between San Jose and Sacramento, the service in fact covers a much broader area of Northern California when you consider the network of buses that seamlessly connect to it. Passengers can travel on the Capitol Corridor to reach many popular destinations, including both North and South Lake Tahoe. Dedicated buses take Capitol Corridor passengers between Sacramento and North and South Lake Tahoe. The beauty of riding the Capitol Corridor to Lake Tahoe is that even though it involves taking a train to Sacramento and then a connecting bus for the rest of the way, there’s no need to book the two separately. Technically it’s the same service, and whether you’re booking online or at the station, you only need to make one reservation for your entire journey. We provide ample time between connections (though not so much time that you’re sitting around for too long), and will hold the bus if your train is running late. For North Lake Tahoe, passengers can take one of three daily trips from the Bay Area to the historic town of Truckee, considered the “gateway to the Sierra.” A destination in itself, Truckee boasts award-winning restaurants, charming shops, and accommodations ranging from quaint bed and breakfasts and economical motels, to luxury resorts. From Truckee, you can connect with Tahoe Area Regional Transit (TART), 800-736-6365 or 530-582-4964 – with service to the lake’s north and west shores; rent a car; or look into the ski shuttles offered in the winter to some ski resorts. Visit the Truckee website for more information about visiting North Lake Tahoe. Capitol Corridor has one train each day to South Lake Tahoe, and there are two stops – the South Y Transit Center and Stateline. The Stateline stop is conveniently located by south lake’s popular casinos, most of which offer shuttles to the major ski resorts like Heavenly and Kirkwood. You can learn more about visiting South Lake Tahoe at www.tahoesouth.com/getting-here/. Ready to book a trip to Lake Tahoe on Capitol Corridor’s train? Visit www.capitolcorridor.org to get started, and be sure to check any of our promotions or special offers for travel discounts!